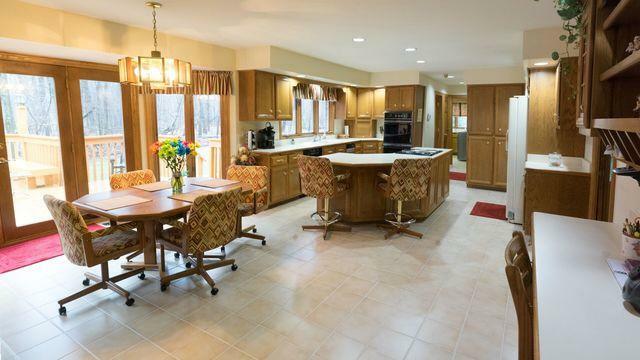 You will be in awe of the wooded location! 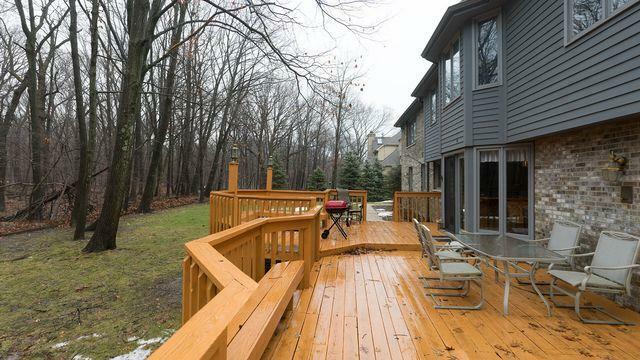 This home features the forest preserve right in your back yard. Picture yourself eating breakfast and watching the wild life right outside. 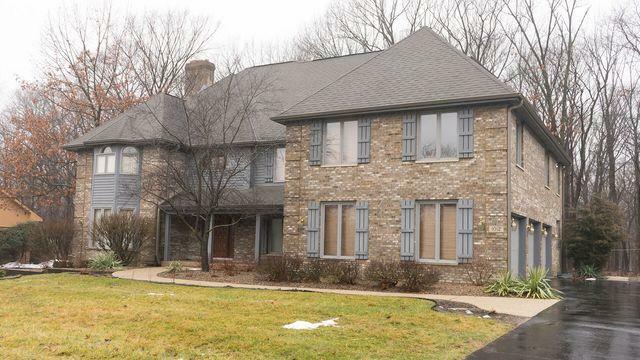 Inside this 5+ bedroom, 4 1/2 bath home with six paneled doors, you'll find plenty of living space. There's a large kitchen, and dining room along with a see-through fireplace that can be enjoyed in both the living and family rooms. The spacious master bedroom with another fireplace also has french doors leading to an office/nursery, with another entrance from the hallway. There are TWO more en-suites upstairs. 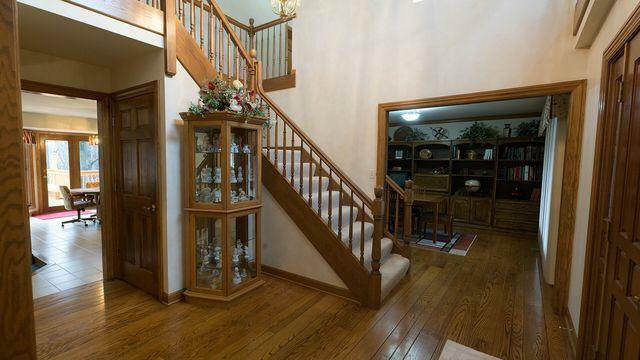 The 5" wood baseboards and 4" wood casings around the doors and windows are upgrades that stand the test of time. A finished basement adds even more living space including one more bedroom. In addition, there is a central vac and a sprinkler system for added convenience. You must see this home on one of the finest lots in Butternut.